When composing a cheeseboard, you want to mix and match a variety of cheeses. Take care to serve different flavours, types (soft, semi-hard and hard cheeses) and colours (for instance white mould, blue mould, red smear and yellow cheeses). The trick is to feature a wide selection of cheeses. To ensure the cheeses taste their very best, it is important not to serve them straight from the refrigerator. Take mould cheeses out of the fridge about an hour before serving. Hard yellow cheeses, on the other hand, should be taken out of the fridge about 15 minutes before serving, as they tend to become dry and unappetising when left out for too long. Bread always goes well with cheese. Try a slow-rise sourdough, toasted rye bread or a light Italian bread. Crispbread and hearty crackers also work well. And don’t forget some nice ham, like prosciutto or serrano, to accompany the cheese. Bresaola and other dry-cured Italian/Spanish sausages make lovely additions as well. Finally, there are a wide variety of chutneys, relishes and stewed fruit that go nicely with cheese. 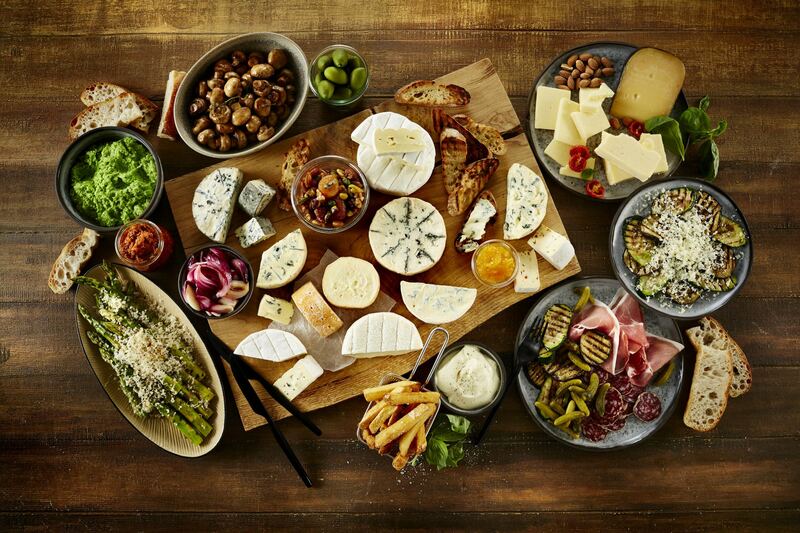 Here are 10 suggestions for accompaniments for a gorgeous tapas board with Castello cheeses. Want more inspiration for Tapas Night? Check out these delicious tapas recipes!